Singer/guitarist Adia Victoria’s highly anticipated debut album, Beyond the Bloodhounds, delivers on its initial promise and hype: a batch of tightly constructed songs that manage to pay homage to classic styles like country, folk, jazz, blues, and rock, while simultaneously constructing an entirely new hybrid from those aforementioned styles. Co-produced by Victoria and Roger Moutenot (Yo La Tengo, Sleater Kinney), the album manages to achieve the delicate balance of lo-fi intensity with clarity, giving the album a throwback sound that is also decidedly modern. Unlike many modern records that try too hard to be purposely lo-fi, Beyond the Bloodhounds production manages to capture Victoria and her backing band in a lively and intimate setting, often times sounding as if the band is playing directly in your living room. There is a dark, gloomy vibe throughout, centered on Victoria’s powerful vocal stylings which recall the legendary folk/jazz/blues singers of the old days such as Victoria Spivey in addition to modern artists such as Lykke Li. Her singing adds much needed grit and weight to each song: effortlessly switching between laid back and calm, only to pick up stream and drive into full on rock. 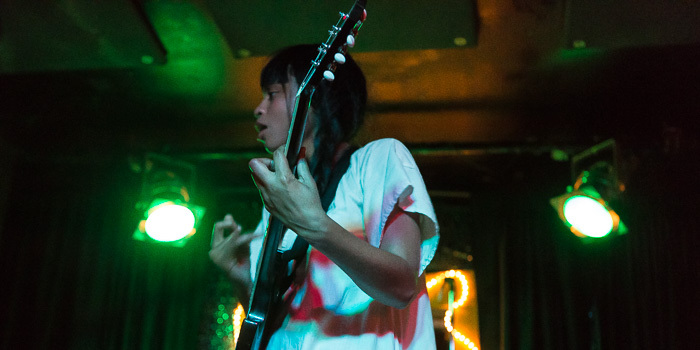 As a guitarist, Victoria moves in between gentle leads drenched in echo and blistering rock riffs that recall classic 50s rock n roll in addition to punk bands such as the Misfits. An example of this hybrid would be the track Head Rot, which begins with a revved up country blues riff that would not be out of place on a Misfits or Velvet Underground record over which Victoria delicately croons in addition to churning out some tasty lead guitar work. From a lyrical standpoint, the songs offer up Victoria’s own personal take on life, filtered through the classic folk/blues lens. Loss, anger, regret, freedom, revenge, and love are themes that run throughout the album, inwardly written yet outwardly expressed so that the listener can make their own connections to Victoria’s ruminations. There is something utterly refreshing in her stark honesty, one that lays bare her own experiences, especially in the modern music scene where everyone seems to want to be simultaneously esoteric and confessionally poetic. By keeping things honest and direct, she is able to connect on a much deeper, personal level. While Victoria rightfully dominates the record with her singing and guitar playing, special credit has to be given to her backing band: Tiffany Minton (Drums), Alex Caress (keys), Mason Hickman (guitar), and Jason Harris (bass), who set up an ideal sonic backdrop for Victoria’s expressive vocals. In particular the rhythm section of Harris and Minton, who are able anchor the songs firmly in jazzy, bluesy territory, allowing for the songs to swing when they need to and rock convincingly when they need to as well. 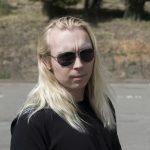 This is most apparent in the song And Then You Die where a silky bassline throbs in time with a downbeat drum pattern, building to a frenetic crescendo led by Harris’ fat distorted riff before easing off the throttle to end the song as it began. 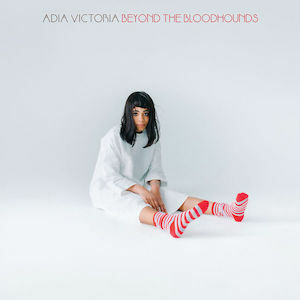 Beyond the Bloodhounds delivers on its promise to make a distinct musical statement: one that combines Adia Victoria’s myriad of musical influences into a crisp and detailed sonic package, one that stands out from the glut of independent music being released in today’s world. Check out Adia Victoria’s website here.